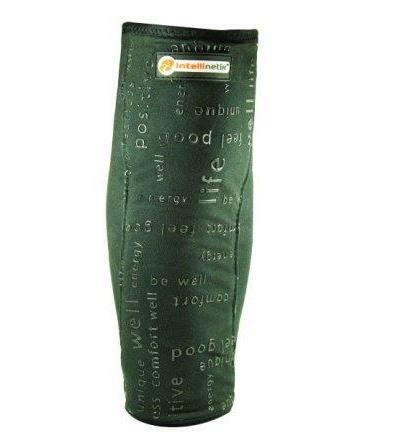 Intellinetix Arthritis Vibrating Calf and Shin Wrap : leg pain relief. Intellinetix Arthritis Vibrating Calf and Shin Wrap provides gentle, effective vibration therapy to muscles, tendons, and ligaments in the calf and shin. Soothes and warms aching muscles and joints. 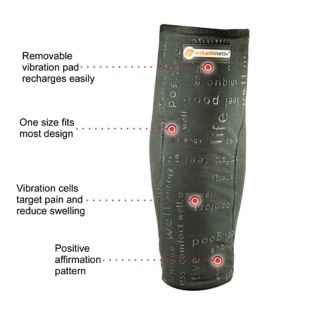 The Intellinetix Arthritis Vibrating Calf and Shin Wrap provides vibration therapy to soothe aching leg muscles. 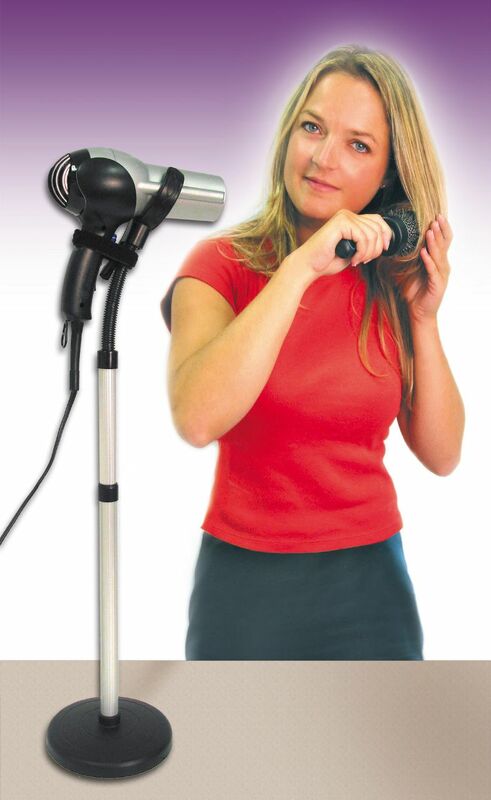 This comfortable, rechargeable device has an adjustable insert that contains small vibrating motors. 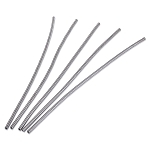 The vibration increases blood flow to the tendons and ligaments, which aids recovery as well. The Intellinetix Arthritis Vibrating Calf and Shin Wrap is easy to use: just slip the comfortable, cotton wrap on, pull it up over your calf and shin, and make sure that the insert is covering the source of your pain. The adjustable bands secure the wrap in place, and the button at the top of the insert starts the vibration. 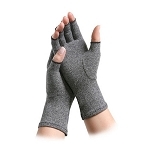 The gentle vibration effectively increases blood circulation and warms muscles. Studies suggest that even 5 minutes of vibration therapy can be as effective as 15 minutes of massage. For maximum pain relief, the vibration therapy should be applied for 25-30 minutes. The wrap can be turned on an off by pressing the button near the top of the pad. When finished simply push the button at the top of the insert to turn off the vibration. Since this device is not a TENS unit, it can be used by just about any adult, even people with pacemakers who should not use TENS units. Intellinetix Vibrating Calf and Shin Sleeve provides a comfortable, lightweight, non-invasive treatment option for patients with Achilles tendonitis, shin splints, or joint pain. 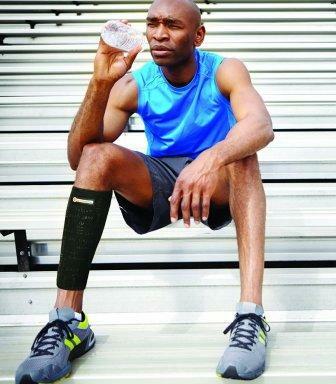 Before first use, charge the Intellinetix Arthritis Vibrating Calf and Shin Wrap for four full hours. When fully charged, the wrap will operate up to 30 minutes. Slip the device on and pull up over the calf and ship, positioning the Vibration Pad over the source of pain. 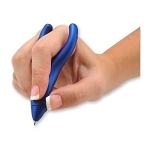 Replenish the battery after each use by plugging charger into the charge port on the removable Vibration Pad. Fits: Left or right leg. 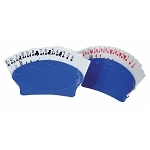 Measures: 10.5 inches long, 6 inches wide at top, 4.5 inches wide at bottom. 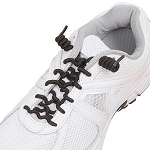 Material: Cotton, anti-slip design, not made with natural rubber latex. 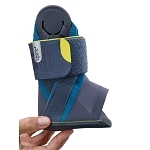 I have a shin splint and saw this item recommended on an Ehlers Danlos sight. It is AMAZING. I love it. I charge it up and use it in the morning. Then charge again and use before bed. My leg looks (less swelling) and feels so much better. 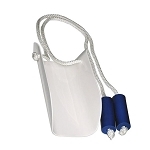 Q: Is the Intellinetix Arthritis Vibrating Calf and Shin Wrap returnable? A: Yes, if it is returned in as new condition. 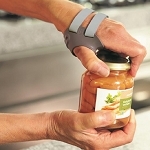 Braces, Splints - Non returnable if packaging is opened.